This truck gives you everything you would wish to have in a heavy-duty vehicle. It has all the accommodations and comfort you would expect in a classic automobile. It is sturdy, well-rounded and robust. It comes with a V8 Turbo-diesel engine that can output 765 lb-ft of torque and tow up to 18,000 lbs. Silverado 2500 is, therefore, the most long-lasting, full-sized and dependable pickup that you can have. In most cases, every truck buyer goes for versatility. The 2016 Chevrolet Colorado offers you versatility as it works as hard as you would want, it is accommodating and very comfortable just like a superior sedan. It has won the Motor Trend Truck of the Year award in 2015 as well as this year. More importantly, its diesel version makes it the most fuel-efficient truck. Chevrolet is a brand that respects quality. If you want a first-rate heavy duty truck, then you should go for the 2016 Chevrolet Silverado 3500. It is fully equipped and also offers the powerful Duramax Turbodiesel. For towing purposes, the vehicle features various components that enhance the process of hauling and towing. 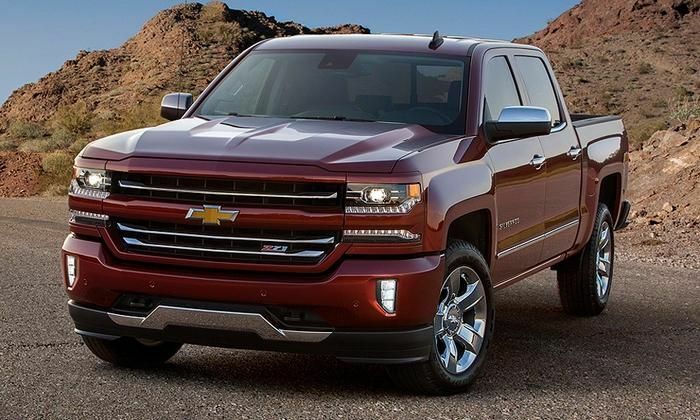 In fact, you can get a special edition of the Silverado if you want to be different from the rest. The power and technology that makes up the Silverado 1500 are enough to enable you to realize the value for your money. Whenever you want to haul heavy material across a rugged terrain, you will need either a Duramax diesel or gas truck that you can depend on. You can perform any task with this truck because its power-to-efficiency ratio is just perfect.